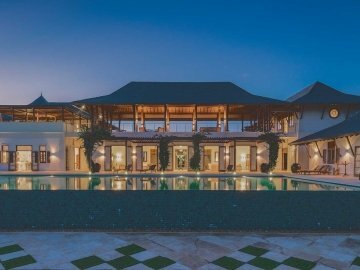 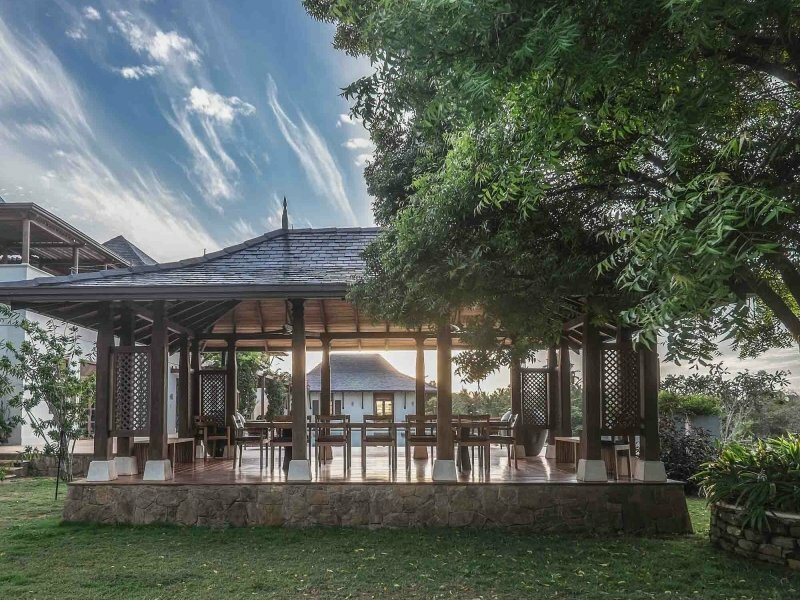 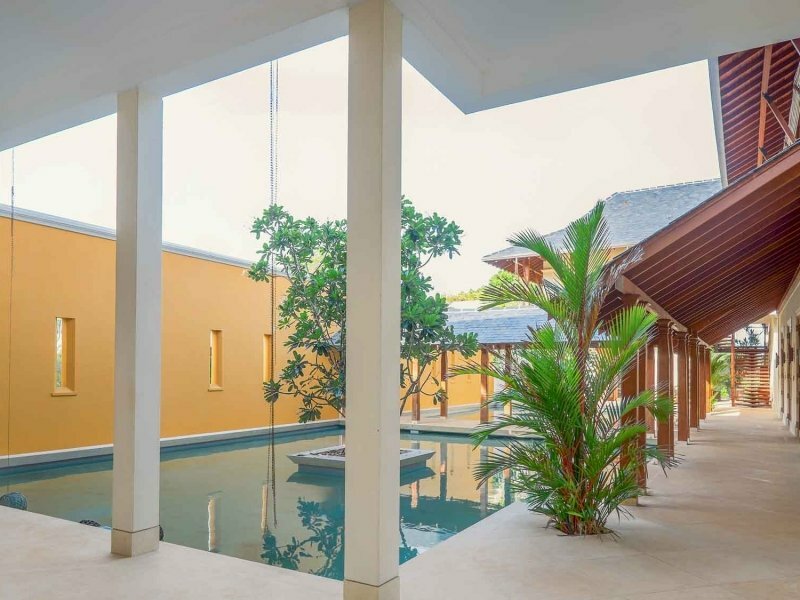 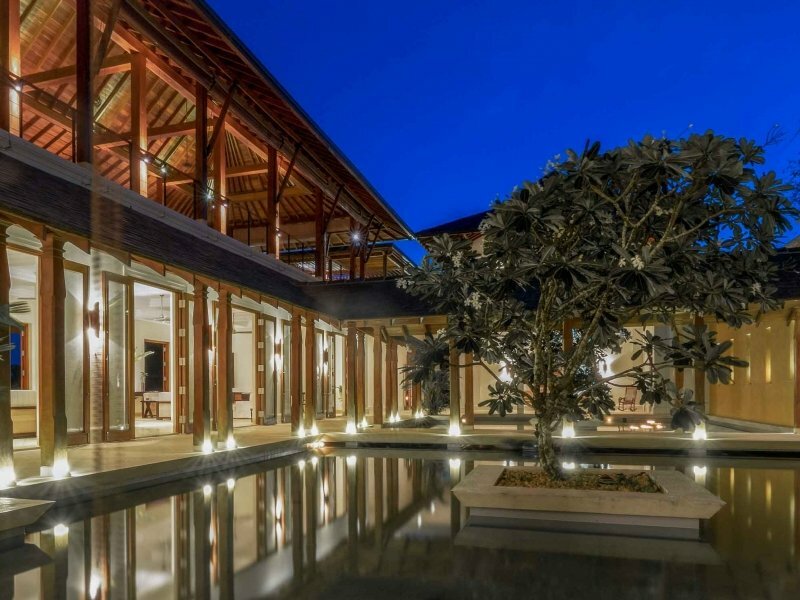 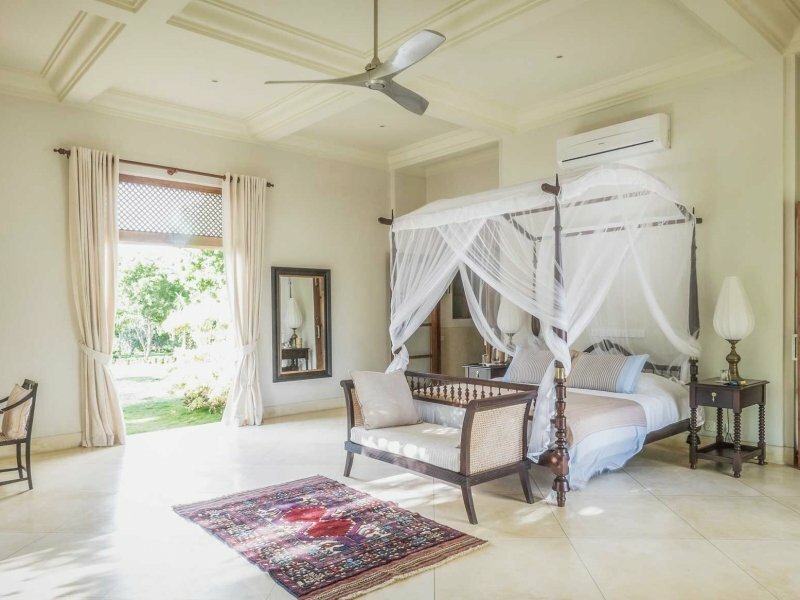 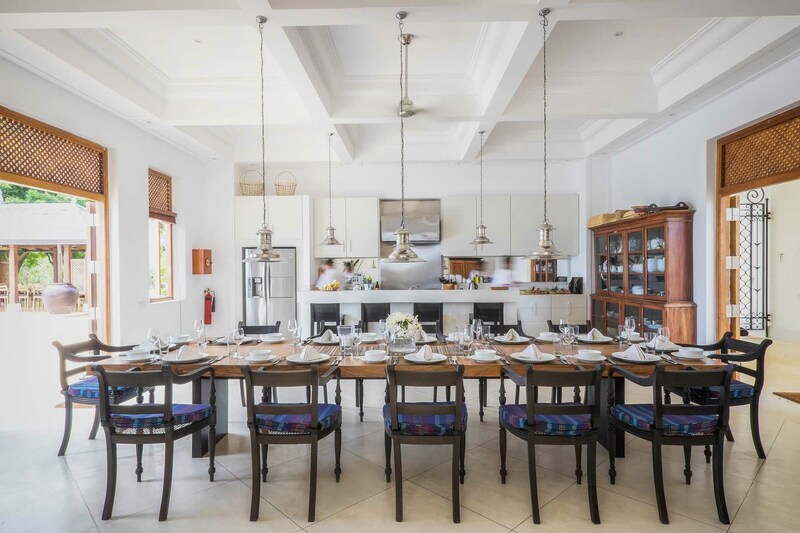 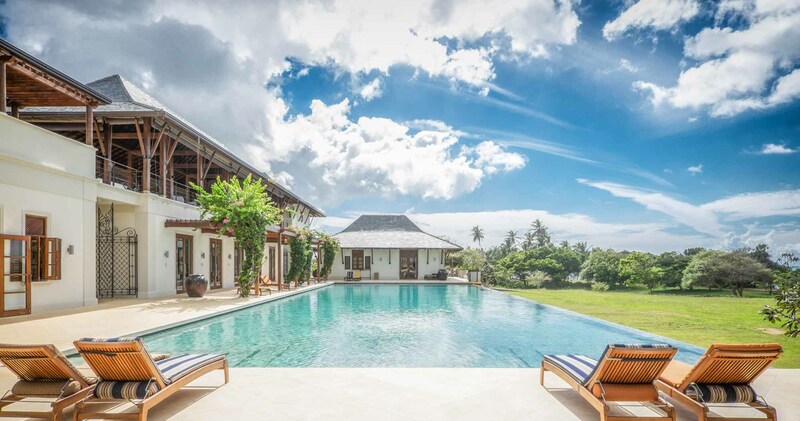 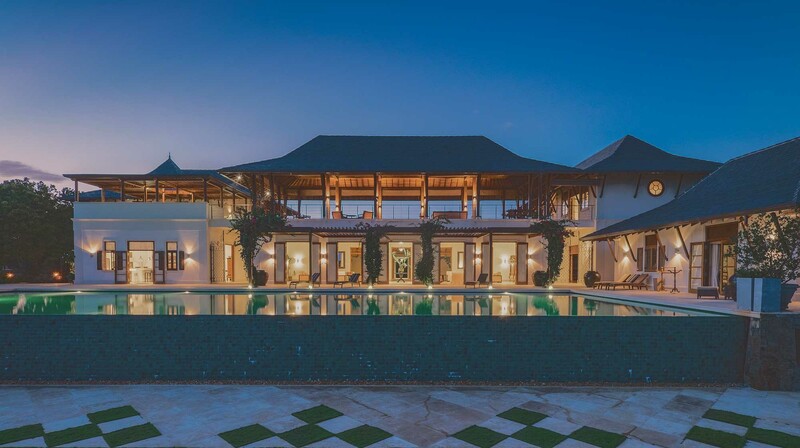 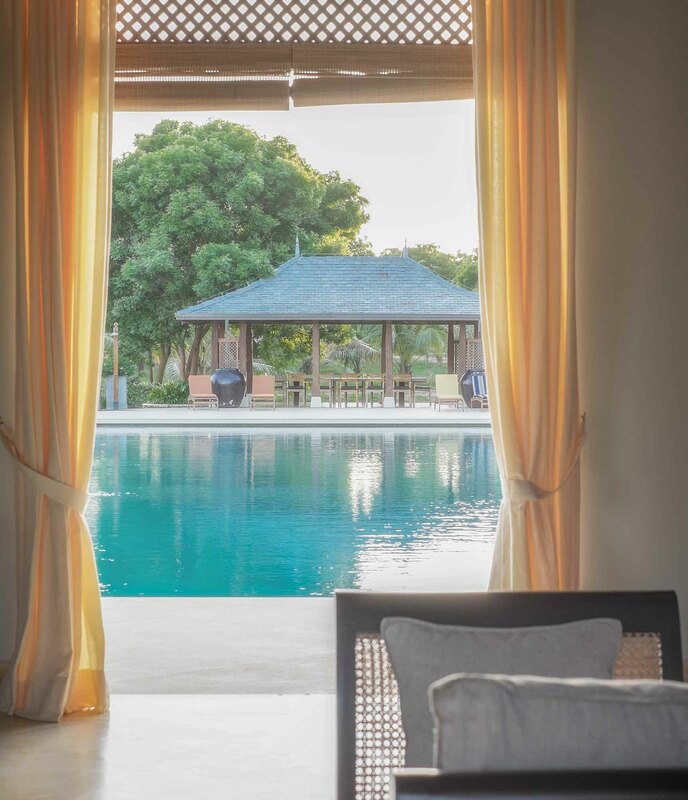 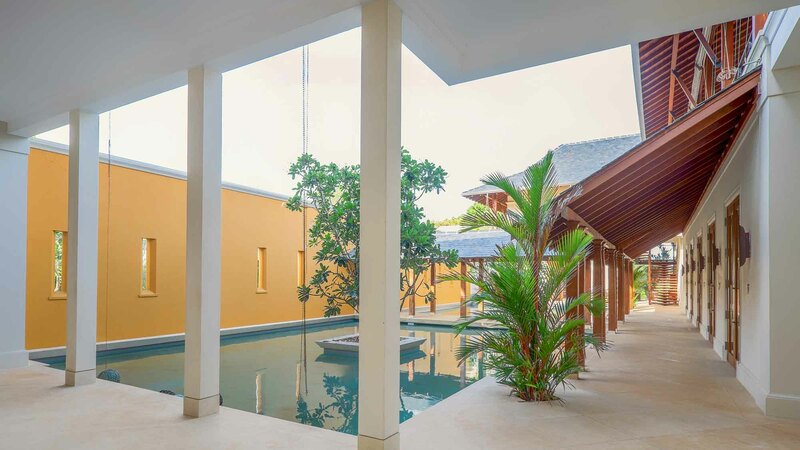 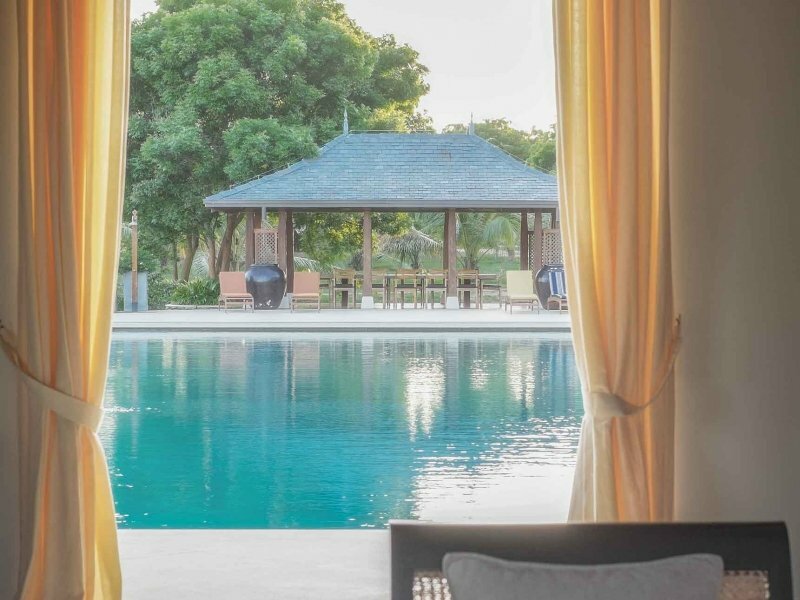 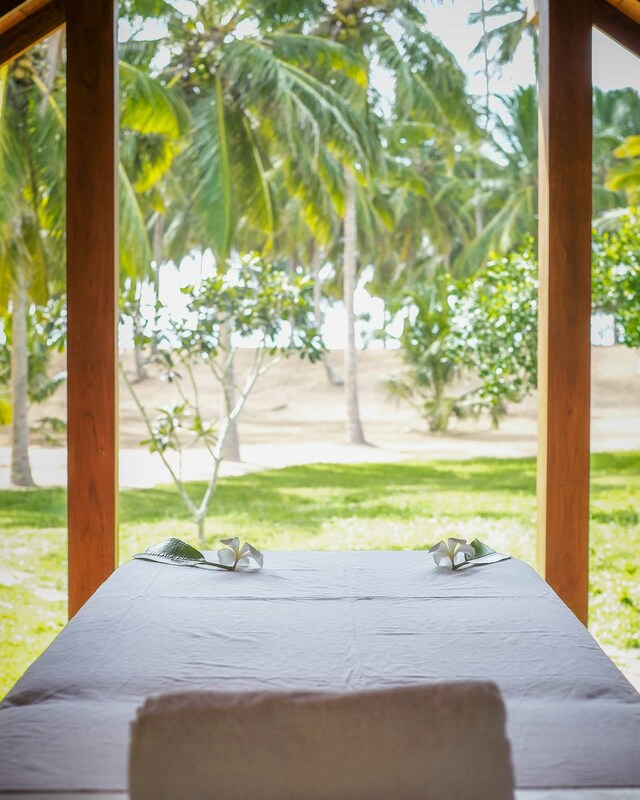 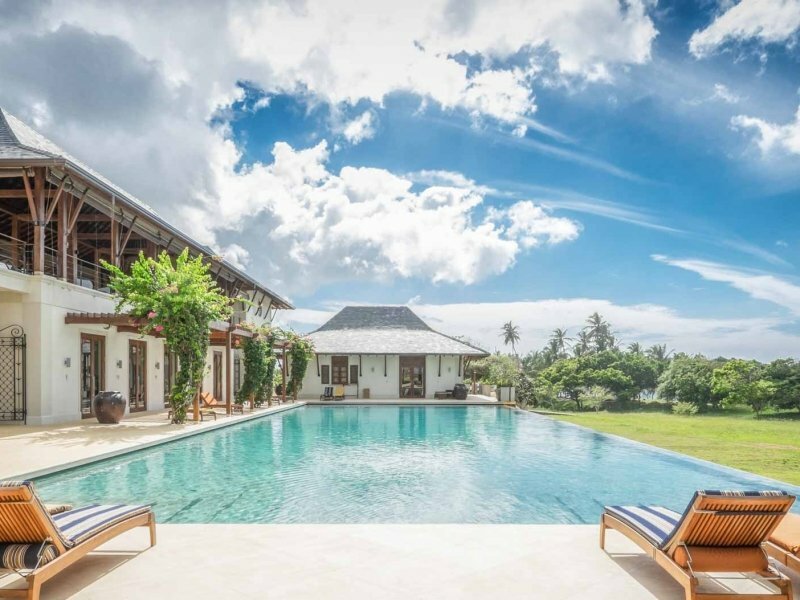 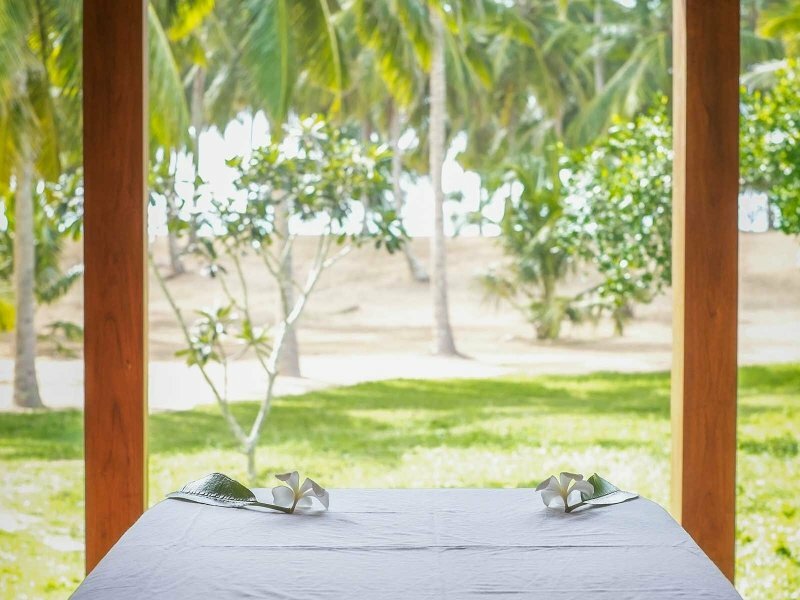 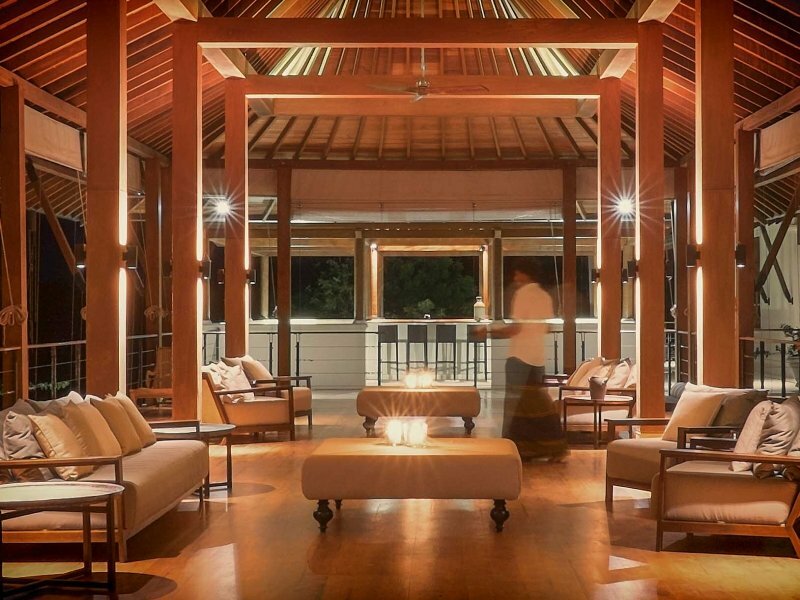 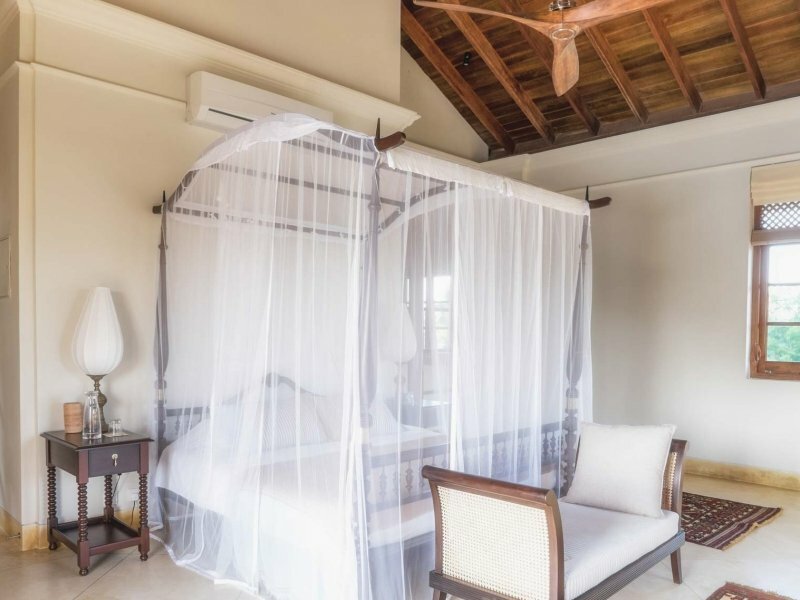 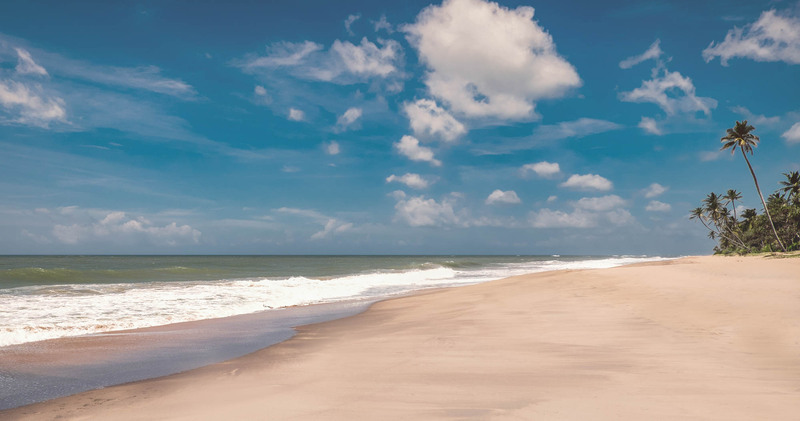 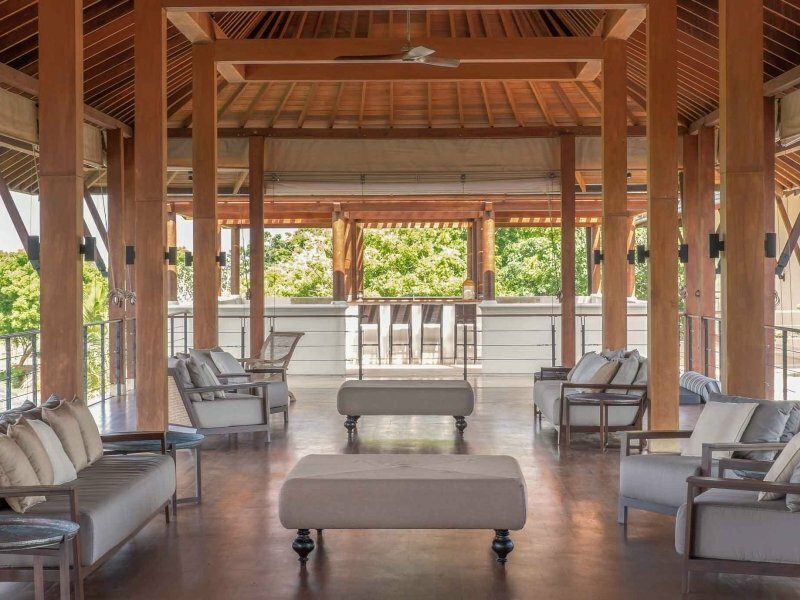 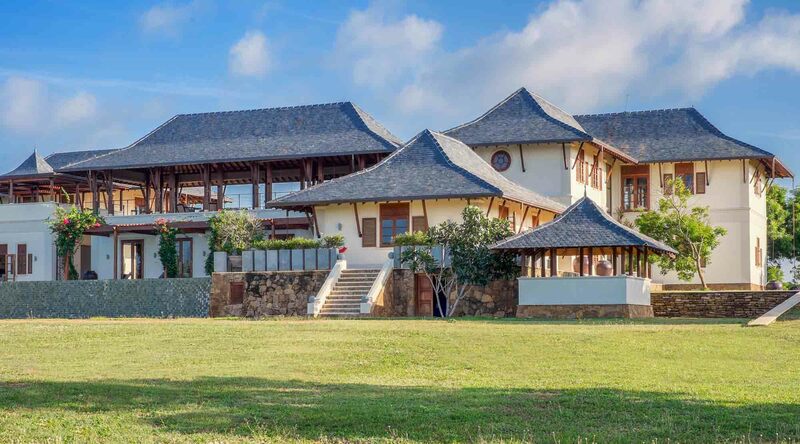 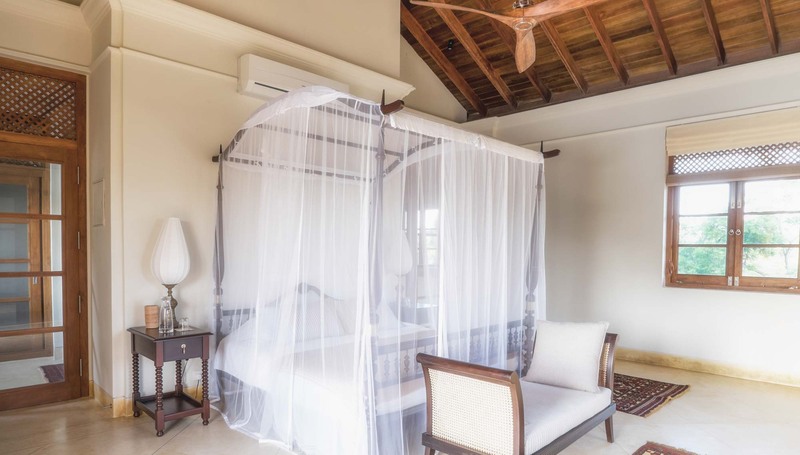 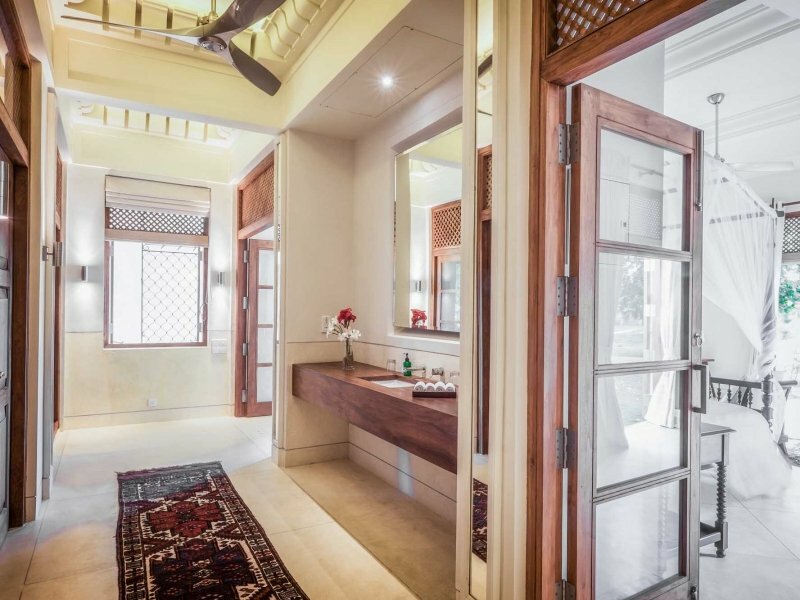 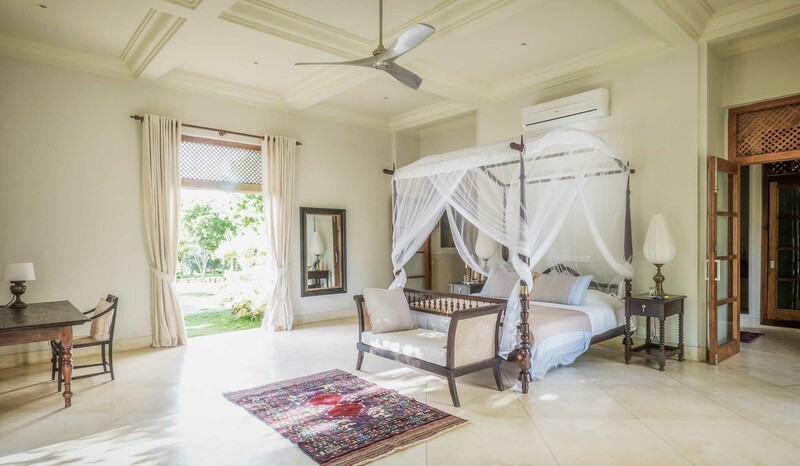 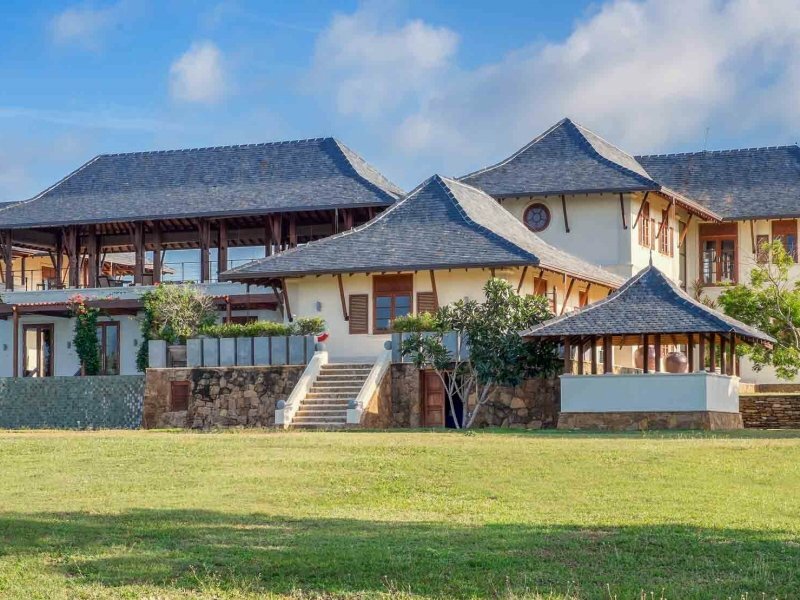 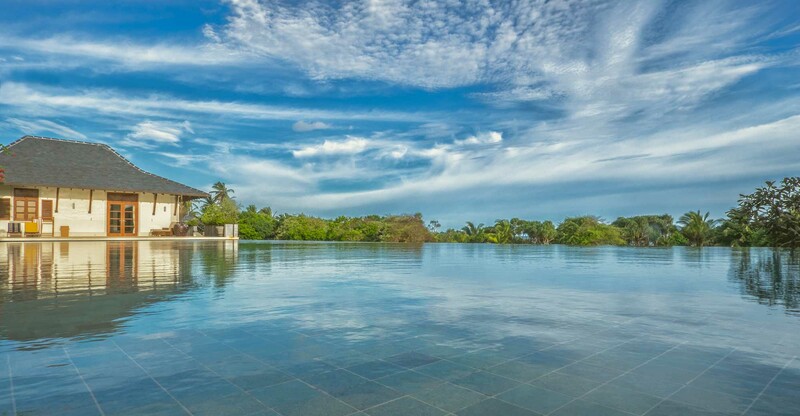 Ranawara is a stunning south facing beachfront private villa created by the owner for family, friends, and guests to enjoy a very special experience on the south coast of Sri Lanka. 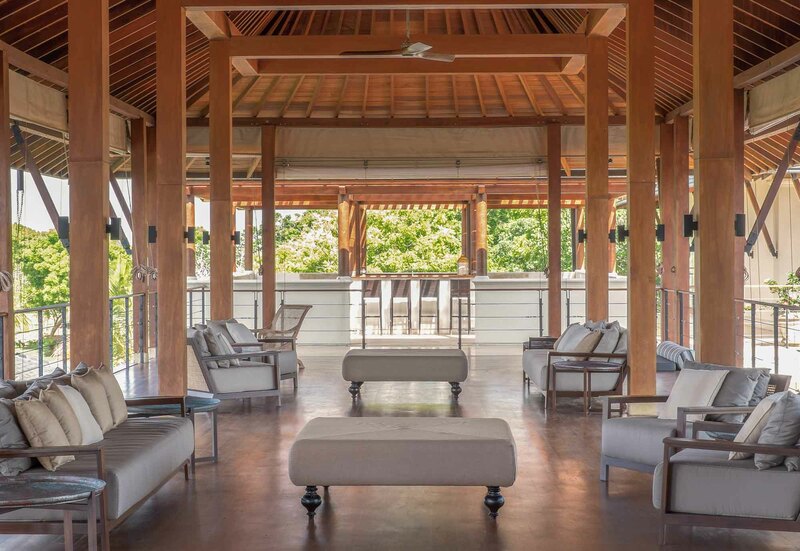 Set in a private 23-acre estate, the gardens flow onto the soft white sandy beach that stretches as far as one can see. 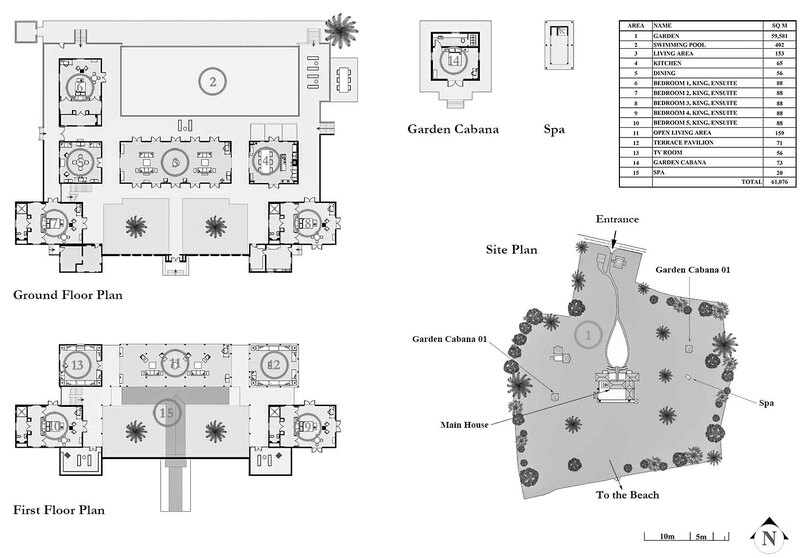 The large main villa provides a choice of several living spaces. 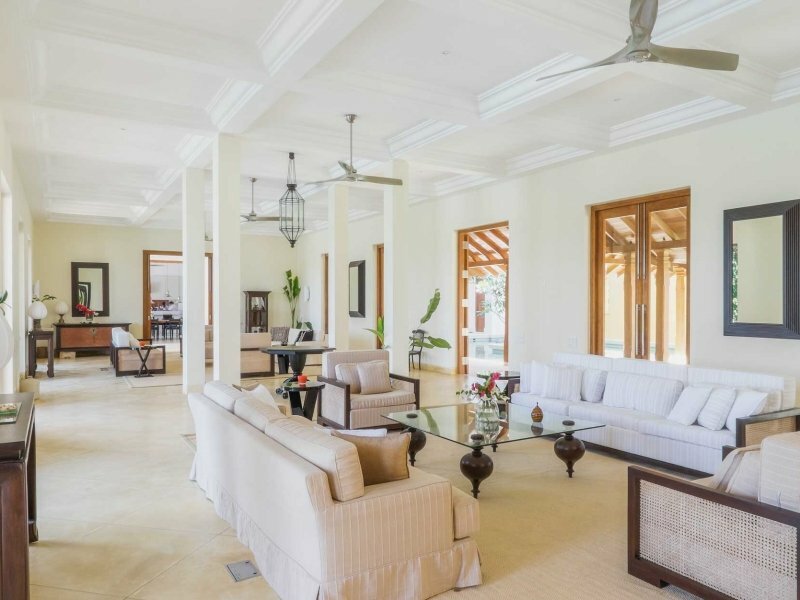 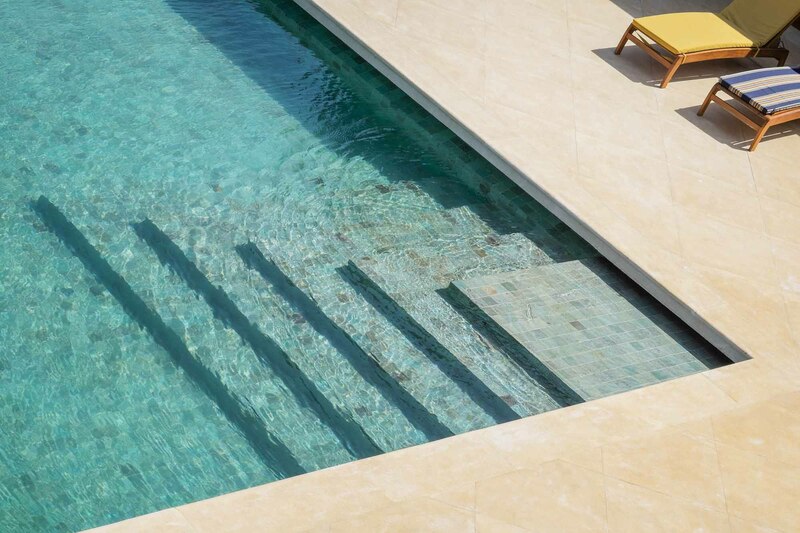 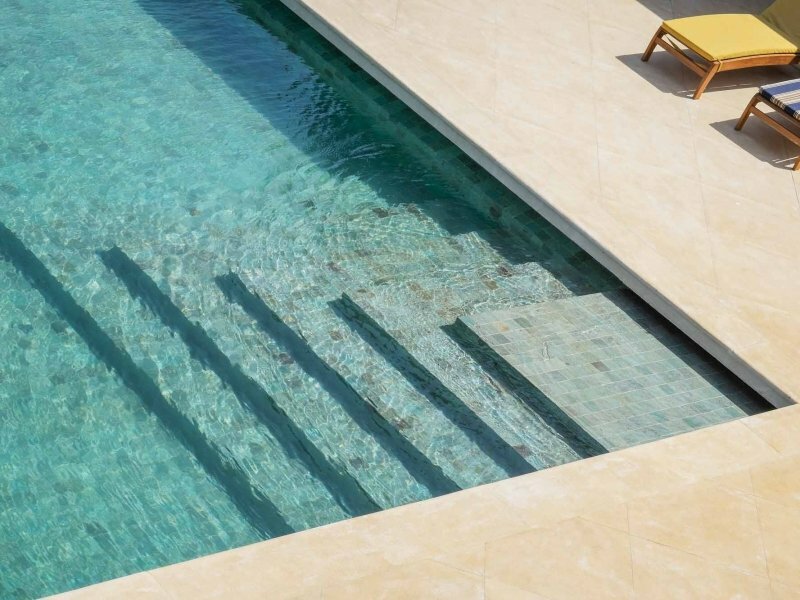 The spacious ground floor offers an indoor sitting room in a neutral, soothing color scheme with comfortable sofas and French windows leading to the pool. 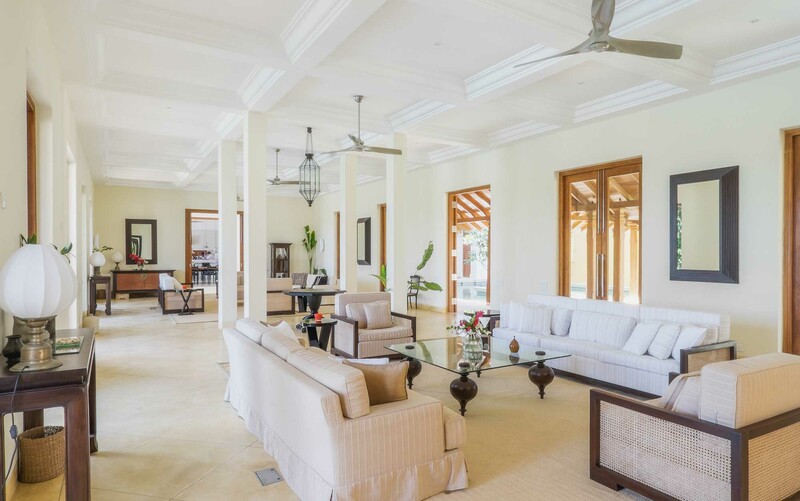 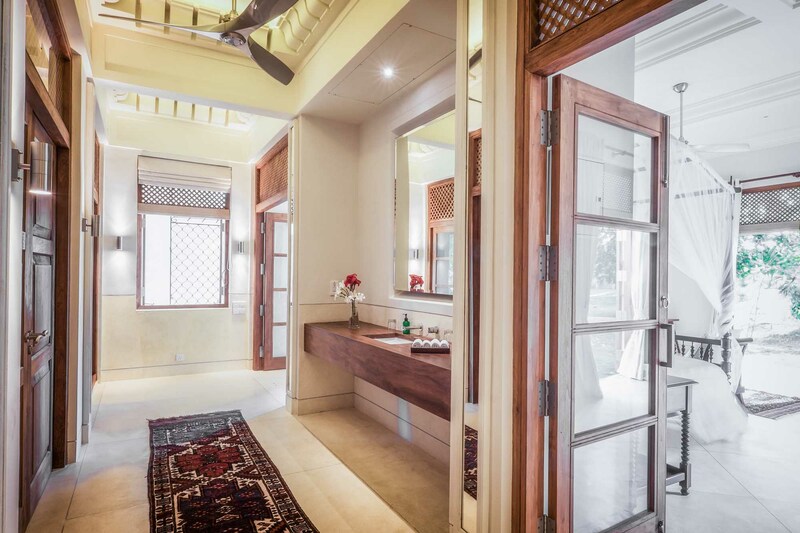 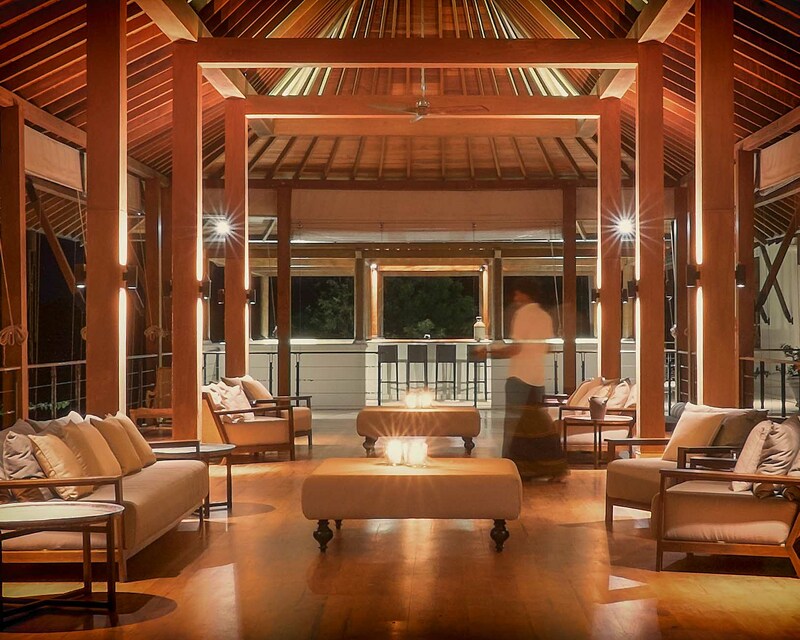 For guests who want a 360-degree view of the expansive gardens and the Indian Ocean, the first-floor sitting room would be an ideal setting. 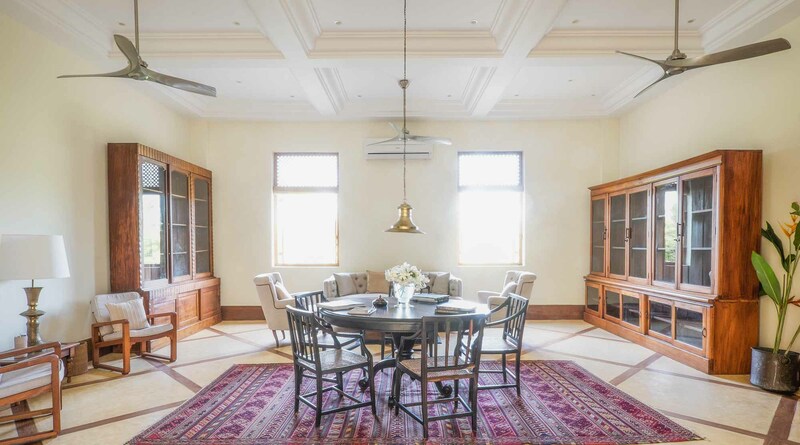 Villa Ranawara also has a fully equipped library with comfortable sofas and arm chairs and a cinema room on the first floor of the main villa. 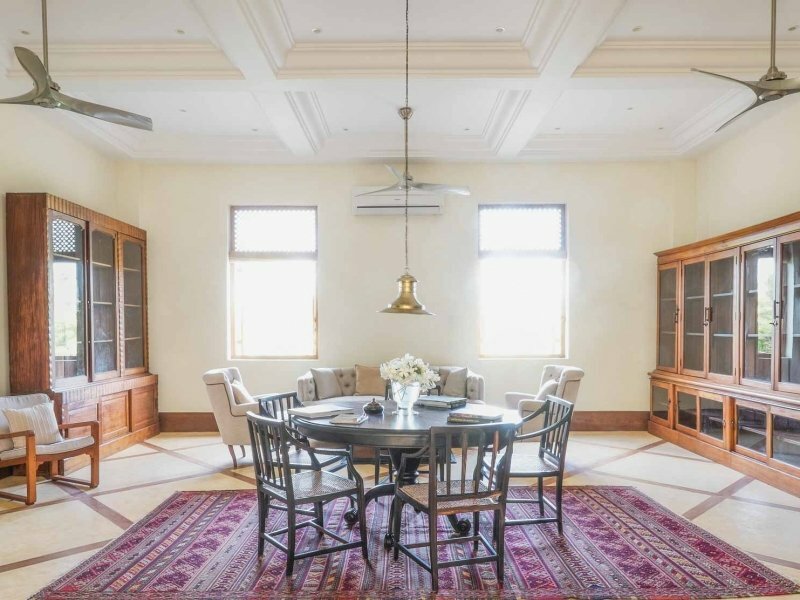 There are three bedroom suites on the ground floor along with the formal double height palatial sitting room and library. 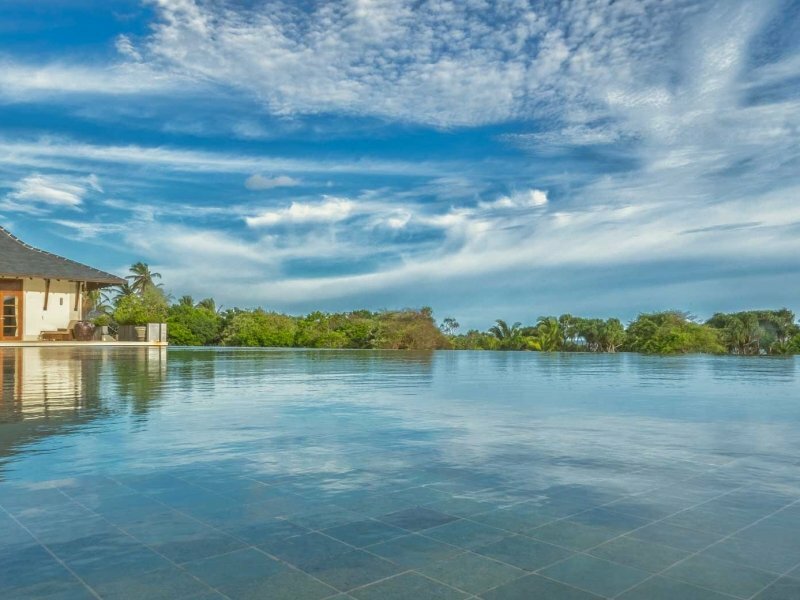 Two further suites, the TV/cinema room and an open-sided sitting on the first floor allows guests to engage with the spectacular 360degree views of the gardens, lakes, and ocean. 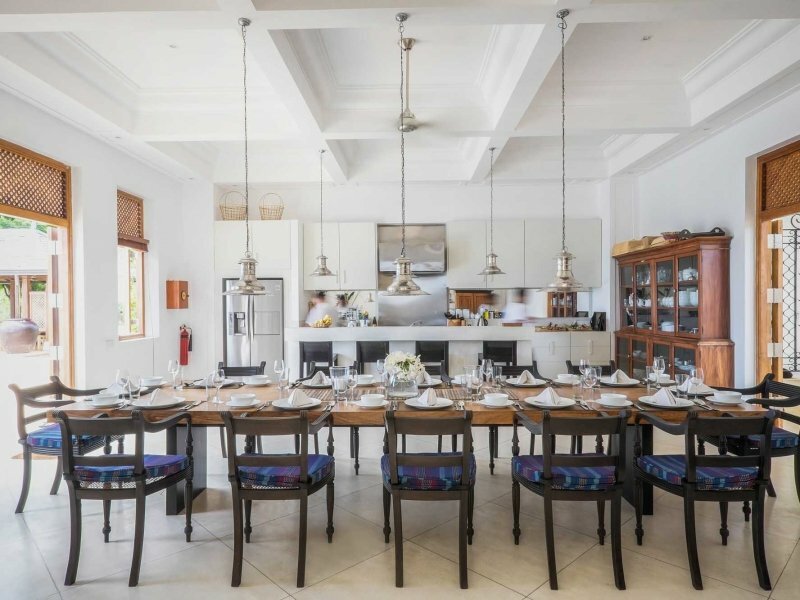 There are a resident manager and a full complement of staff including a chef, butlers and room attendants. 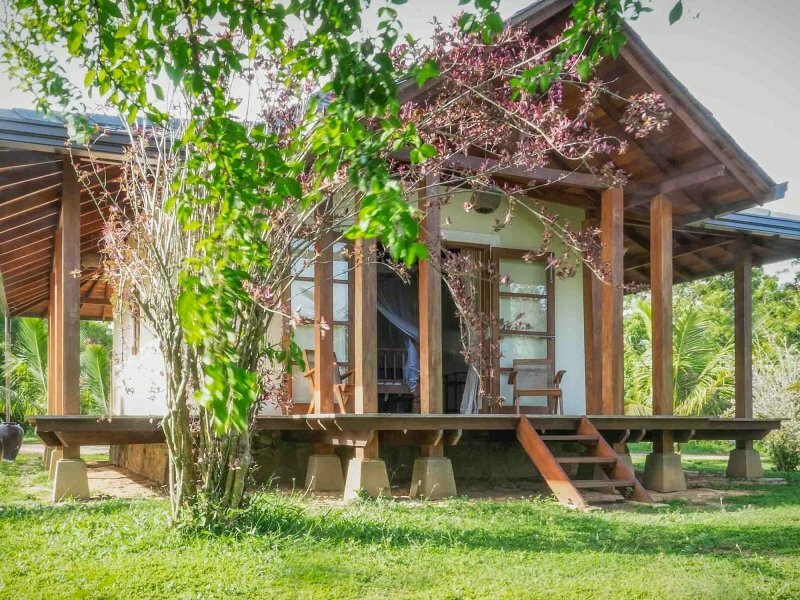 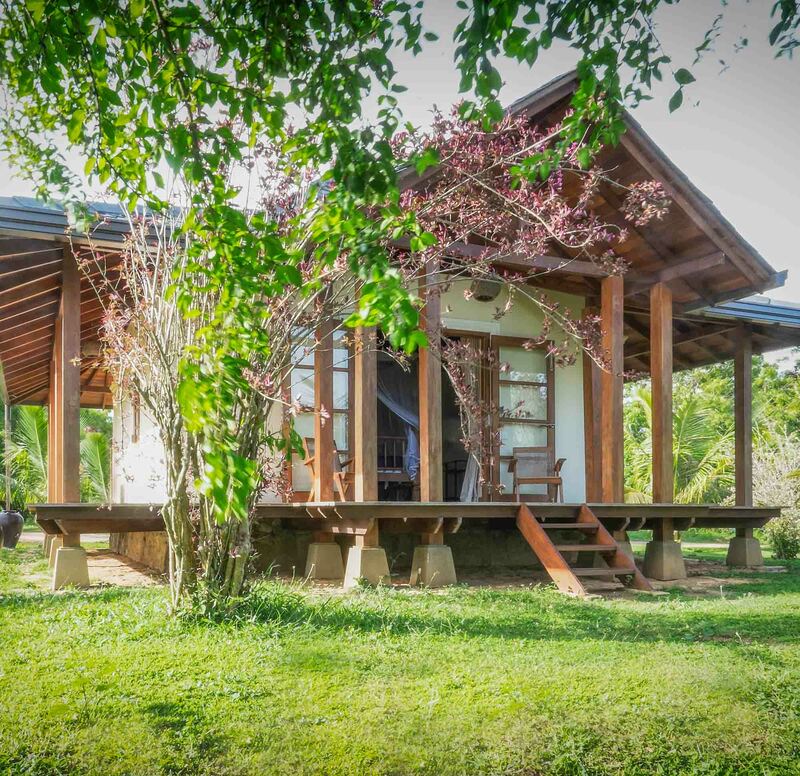 Villa Ranawara is located very close to one of the main national parks for bird watching, the Kalametiya Bird Sanctuary. 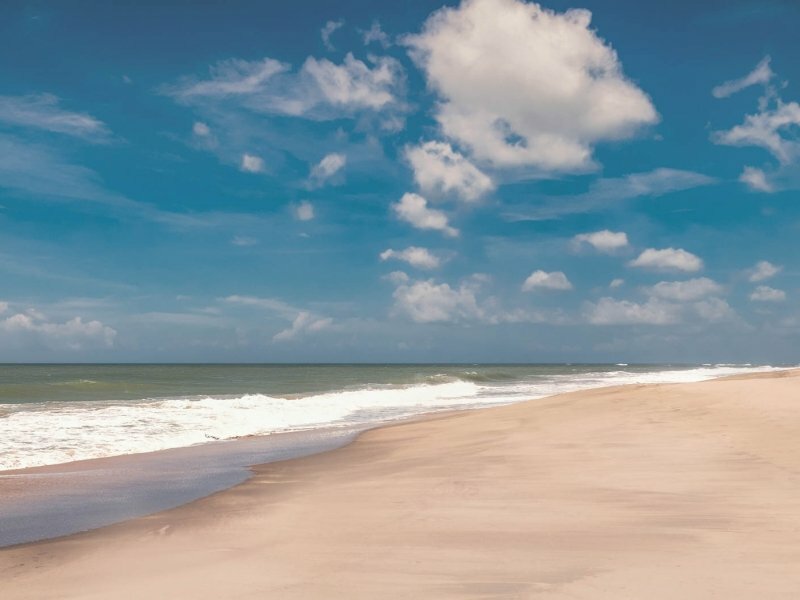 For those who are eager to see more wildlife, other national parks including Yala National Park and Udawalawe National park, home to leopards, elephants and endemic sloth bears, are just a few hours away.